Kathryn and I grew up in the 80's and 90's when dinner time meant just that. Eating dinner. There was no 60-inch in the kitchen. A constant stream of texts didn't interrupt the dinner conversation. There were no iPads, no smartphones, no YouTube streaming cat videos (although 10-year-old me would have looooved those!). We sat down at the table and ate. And on occasion we even got to help prepare dinner! One of my fondest memories is of me and my Mom preparing a chicken when I was around 10 years old. She taught me how to brine it, season it, and tie it up for the oven. She made it dance across the counter top. And when I sat down for dinner that night with my family, I was so proud that I helped cook the meal, I ate everything on my plate. Today, my husband and I and Weston try to eat dinner as a family every night. Of course there are days when one of us has to work late or goes out with friends, but for the most part, dinner time is family time. Its a time to wind down after work, cook a tasty meal, and relax. At our house, no cell phones are allowed at the dinner table. There is no television in our kitchen area. Some nights we play music. Others we just sit and relax and bask in the silence that is not an element of either of our workplaces. We talk. We listen. We let Weston play with his food. He babbles to us. We babble back. We communicate. We laugh. We eat. What's the point of all this? To convince you how awesome family dinner time is? Well, that's part of it. But we'd also like to introduce our new blog series-The Recipe Round-up! We know that figuring out how to get healthy meals onto the table while trying to get the entire family to sit down for a meal can be frustrating and time-consuming, especially with packed schedules and fussy eaters (kids and adults alike! ), so we’re here to help! Every Sunday, we’ll collect 5 to 7 recipes from around the web that we have tested in our own kitchens. They will be (mostly) healthy meals that the whole family can enjoy including the adventurous and picky toddler and teens in our lives. We hope to introduce you to some new foods that maybe you haven’t tried before as well as some delicious, healthy recipes for old staples like chicken and fish. We'll try to choose breakfast, lunch, and dinner recipes that are realistically quick (30-45 minutes) from start to finish or slow-cooker recipes that take minimal effort but taste delicious after stewing all day while you're at work. We'll also try to share tips and tricks on getting your toddlers (and the rest of the family) to eat healthy. Occasionally we'll share more complicated recipes, but I promise they will be worth every bit of the time and energy when you see your family sit down and share a meal together. Without further ado, here it is- our first Recipe Roundup! For a light meal or a hearty side try this Delicata Squash with Orzo in a Sage Butter Sauce. Delicata squash has a delicious sweet, nutty, buttery flavor. It tastes like fall. We had it as an entree, but I think it would pair well with pan-fried Tilapia or other mild whitefish. This is a wonderfully delicious, quick, healthy, meal that was prepped and ready in under 30 minutes! We usually pair this with a hearty salad. This dish takes a little over an hour so its best prepared on a weekend or on a day when your not rushing around after work trying to get dinner ready. But it's totally worth it. The longest part is roasting the squash. If you have a sitter at your home, see if they can pop the squash in about an hour before you get home. Or roast and scrape the squash the night before so it's ready to add to the southwest mix and pop in the broiler. 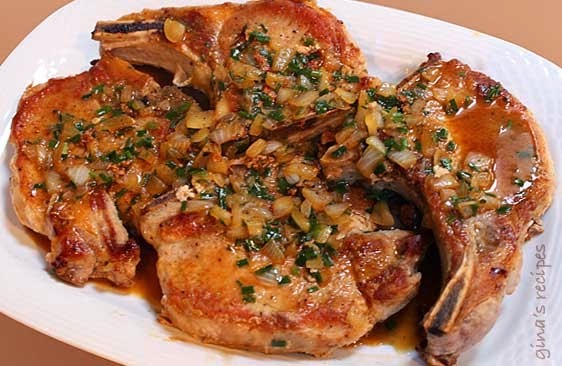 This is a really quick recipe that yields a very "home cooked" tasting result. It's comfort food on the lighter side. It only takes about 30 minutes from start to finish and it is so good! I usually make some egg noodles on the side to really soak up the sauce. My husband found this recipe online years ago and I swear we make this at least every other week. It is beyond easy and the chicken is delicious. This recipe makes a lot--we cut it down to two chicken breasts for two people and a toddler and we still have enough for left overs the next day. 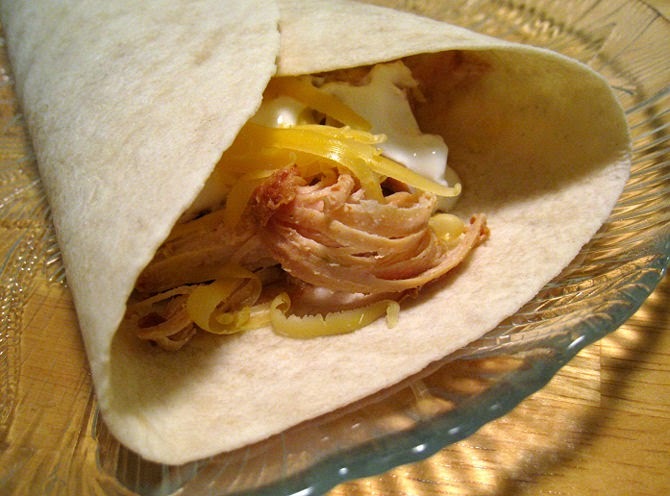 But if you wanted to make the full recipe, you could easily use the shredded chicken for other meals during the week.